Just go up there and say what you are planning to say. We will make sure everyone hears it! 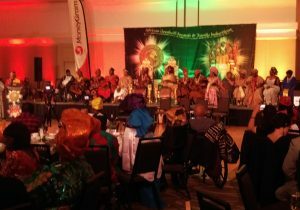 SUN PRODUCTION is a Southern California – based event sound company that has been successfully providing sound systems and services for over 20 years. Based out of the Los Angeles area, we also cover Orange, Riverside, San Bernardino, Santa Barbara and Ventura counties. When it comes to live events, there’s only one chance to get it right. There is no second take, and the resulting outcome could affect the reputation of everyone involved. 20+ years of live event experience makes a big difference when it comes to knowing what is required to ensure a successful event! Anybody that has some cash to spare can go out, Buy some audio gear and start up a sound company. 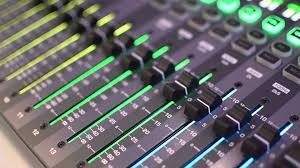 BUT – do they have the TECHNICAL sound system engineering skills and experience that is required to ensure that all the components are properly set up and operating the way they should? Do they have the COMMUNICATION skills combined with that engineering expertise to ensure all interaction is clearly given and received, mature, pleasant and level-headed regardless of the complexities of the event? And – last but not least – do they have the CREATIVE skills required to make it all sound like MUSIC? 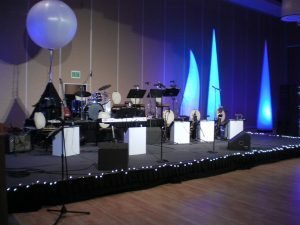 Remember, whoever produces an event that has the best sound will attract the best talent, and will also repeatedly attract the largest and most satisfied crowds! 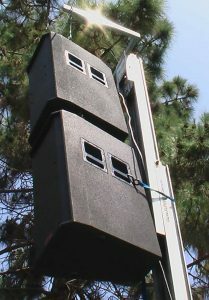 Would you like to have a truly GREEN sound system at your next outdoor event? 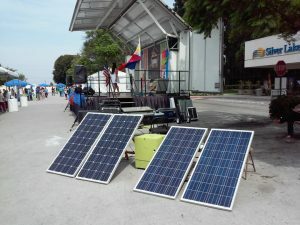 One that is powered with solar electricity and not a noisy, smoggy generator? 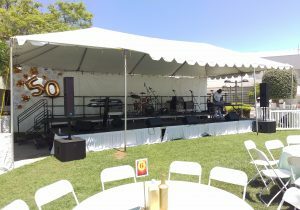 We can provide a solar powered sound system! 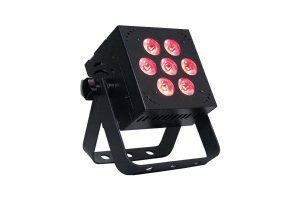 We can also provide stage lighting!